In this chronicle of faith, we follow a man on a mission. He's assigned to travel to the U.S. and check out Rev. Tim Trinity, who seems to be able to predict the future. He's given this assignment because Tim Trinity is his estranged uncle and church officials feel Daniel can get close to him. Also investigating Father Daniel and Rev. 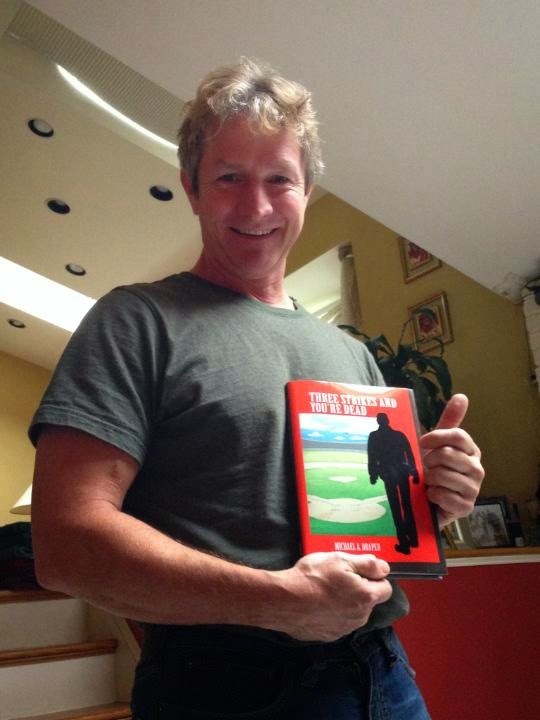 Tim's actions are a group of men who make their income from gambling and loan sharking. They figure that if Tim can predict the future, he could put them out of business. Always skeptical about these so called miraculous happenings, Daniel looks into Tim's predictions and finds that they have all come true. The most startling is that Tim had predicted that something would happen to an oil refinery. He advises the employees not to go to work at a certain date. Daniel wants to warn the people at the refinery but his officials in Rome won't let him. They don't want to build Tim up in the eyes of the public. The sorrowful events that follow, strengthen the legend of Rev. Tim. They also add weight to the possibility that Daniel sees that Rev Tim might have a message from God. Daniel tells his story that he was raised by Rev Tim after Daniel's parents died. Daniel seemed destined for the priesthood from an early age. Now, he begins to have doubts that he made the right choice. Rev Tim seems like a good man but with flaws. With his prior drug addiction and the fact that he had run a con-game there is a similarity to Elmer Gantry. Tim cannot explain how he can forsee the future and becomes convinced that he is preaching the word of God. As the story moves to the conclusion, his followers crowd behind him as he prepares to relay what God has made known to him. Police in Atlanta, try to stop this march and I felt comparisons to Martin Luther King and his followers. The story is well told with the various parts coming together at the end in a manner which makes the reader think about the message of the book. It is a strong story for people of Faith and those looking for a meaning from life. 3. Leave email address and indicate steps 1 and 2 are complete. In 1866, there are a number of sightings of an unexplained object in the ocean. Some of these sightings are far apart from one another. However, when no other explanation is given, some fear that it might be a sea monster. An expedition is set with U.S. Naval frigate Abraham Lincoln, under Captain Farragut. They are firm in their resolve to find this monster. Professor Pierre Aronnax of the Museum of Paris had written articles about this phenomenon of a possible sea monster and he is asked to join the others, as is Canadian harpooner, Ned Land. Once they are out to sea and have traveled far in search for this monster, something is sighted and Ned, Pierre and Pierre's man, Conseil take a small boat from the Abraham Lincoln. 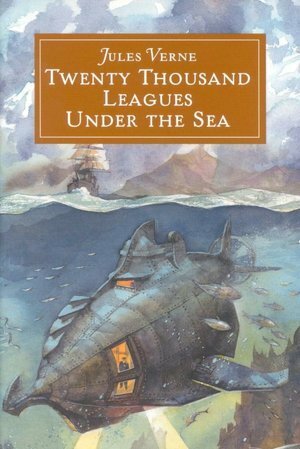 Ned tries to harpoon the item but their small boat is overturned and the men are picked up by the submarine, the Nautilus, under Captain Nemo. They are kept captive as the Nautilus travels the world. They are anxious to go free and Nemo has constant proclamations of where they are and Pierre tells the reader things that are important from these things from history, such as a sunken ship that had riches in it. The style of writing is dry and without much emotional comment. I found the writing to be so different from today that it was challenging to get into the story line and become involved with the story. In addition, some of the findings of Jules Verne are impossible to accept, such as the 20,000 leagues that the submarine is said to go under the sea, and this is more than the circumference of the earth. However, it was interesting to read this to view where literature and adventure fiction has come in the last one hundred years. 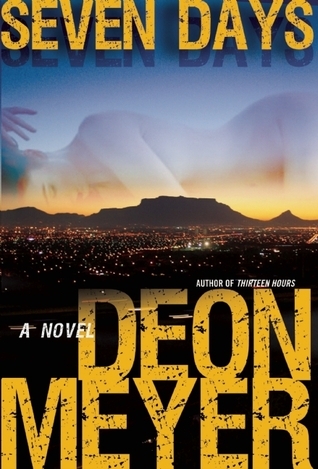 Deon Meyer is a story teller. His descriptions of South African life and philosophy is well described in this novel, "Seven Days." Meyer isn't afraid to take on various aspects of the South African landscape. 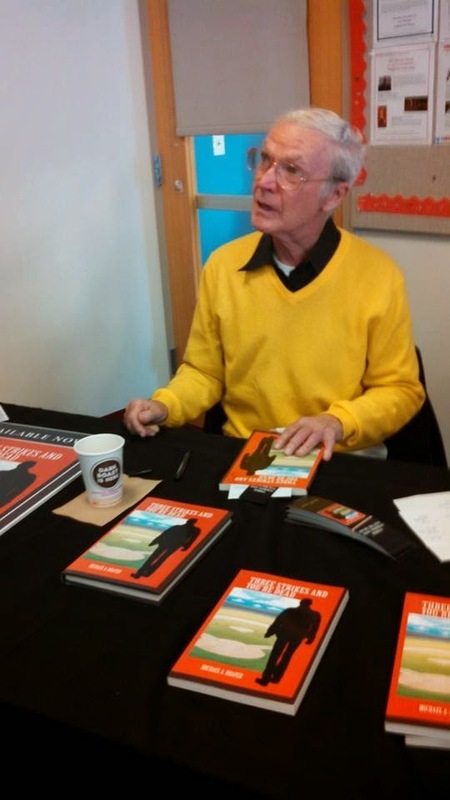 He digs into investments by black-only owned businessmen, politicians with links to the Communist Party and the difficulties seen by people fighting alcoholism. The story begins with someone accusing the police department of a cover-up of the murder of Henneke Sloet-an attractive attorney who was stabbed to death in her luxury apartment. South African homicide detective, Benny Griessel is assigned to the case but it seems as if there were no leads. With the delay in the investigation, a sniper begins shooting policemen. He sends emails to the police that he will continue to shoot police officers unless they arrest the person who killed Sloet. Benny is a member of the Hawks. This is a group of South African police officers who take on sensitive cases and high profile cases. Benny is a recovering alcoholic and as he begins work on the case, he is seeing a woman named Alexia. He met her after her husband's death, which she wrongfully felt she was responsible for. She is also an alcoholic and a singer. Benny is trying to get her back on the wagon but his time spent on the case, doesn't give him the time he needs to give Alexia the support to fight against the temptation of alcohol. Benny's team learns that Hanneke worked for a law firm that was involved in a major transaction with a black owned business. Benny's team researches public pension funds and the manner in which people are selected to the boards of these funds and then add their other friends to the boards so when there are proposals, they are carried by a friendship rather than a business purpose. 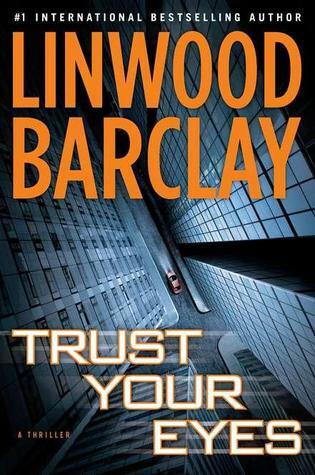 Where so many protagonists of police procedurals are self assured, Benny has doubts about his abilities which makes him more normal and makes us want to support his effort to get the job done. There is good suspense as Benny tries to find Hennek's killer before more police officers are shot and a secondary story of trying to find the sniper. The story is told at a liesurly pace and this seems to represent the style of life in South Africa but underneath that relaxed pace, is the heart pounding effort to find a killer and learn the motives of why someone would kill a person as well thought of as was Henneke Sloet. Life for society women in the 1920s had its own constraints, the image of "family" was stronger than self, as was the idea of a woman's freedom. In "Early Autumn," the Pulitzer Prize winner of 1927, we have a story of a wealthy family, it's place in the society of the times and the rigid rules of family members who were almost members of the aristocracy in New England. The story opens with the celebration of Olivia Pentland's eighteen-year-old daughter, Sybil, who is being presented to Boston society. Also being presented is her friend and neighbor, Therese Callendar. It is evident that Olivia is the strength of her family. She hasn't turned age forty and doesn't seem to have time for herself. Her husband spends his time working with charities or on family geniality. He lives on an income from his elderly father-who doesn't trust him to run the family business. At a time without television, one means of entertainment was for society women to spend their time going to various houses, to be entertained and to learn the latest gossip. This is the case for Aunt Cassie and Sabine Callendar. The women don't like each other and the author describes them as "...two hostile cats watching each other for days at a time, stealthily." Bromfield's wit is in evidence when we hear Aunt Cassie talking about joining her late husband in heaven, while Sabine shares her thoughts with the reader, that the reunion might not be all that pleasant as his wife had anticipated. Olivia seems forced to live in a world filled with traditions but little love. She does see her daughter trying to escape this family web and we see that it gives a small glimmer of life to her. She meets a man who brings the thrill of love and a new meaning to life. But can a woman of society in the 1920s ask for a divorce? What if her husband refuses to give it? This was a most interesting story of a woman and a wealthy family in New England, at this time of history. This is a story about justice and friendship. In the southern part of Texas, by the Mexican border, the sheriff's office is informed about shots being fired at a certain location the prior night. Sheriff Hackberry Holland, a Korean War vet, discovers the bodies of nine Asian women. Later, he learns that they were carrying balloons of drugs in their stomachs. Not only were they being used as mules, they might have been traveling to a place of prostitution. With James Lee Burke's keen ability to describe settings and provide unforgettable characters, we follow the trail of the killers. We learn that they want to kill the young man who called the authorities and the man's girlfriend. They fear that the man could identify them and that his girlfriend may have recognized one of the men also. In typical fashion, Burke defends characters who are attempting to get out of a difficult predicament. He also shows the ineptitude of government officials to help or show any compassion. The killers who come after the defenseless characters and soon begin to argue among themselves. Greed is extreme and it is well depicted in this story as if avarice. Sheriff Holland is a genuinely good man and he shines above the other characters in the story. The action is well paced so that the reader can observe what is going on with the criminals, the two innocent characters and with Sheriff Holland and his loyal chief deputy, Pam Tibbs. 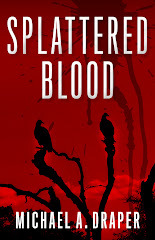 The characters are well thought out and believable and the story is entertaining. 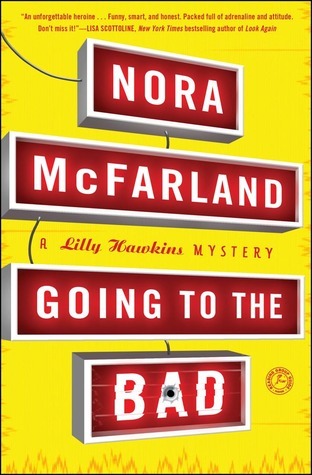 "Going to the Bad" is a humorous mystery that is so visual it's as if the hilarious scenes were taking place on the TV screen before us and maybe Lucille Ball had returned to a younger life and become the protagonist. The story opens with Lilly Hawkins at work. Her attention is centered when she hears a police frequency about a shooting and the address given is her home. She learns that her elderly Uncle Bud was shot and taken to the hospital in critical condition. Zany things are happening at the TV station. The afternoon anchor is nervous about his first show where an animal shelter is bringing in some caged animals to show the TV audience and maybe have some of the animals adopted. Lilly seems to have two reasons for searching for the person who shot her uncle. From one point of view, it would probably be a good story but after speaking to a person who was one of Bud's best friends, it appears like Bud may have stolen something valuable from him and maybe Lilly doesn't want to uncover any 'dirt' about her uncle. Lilly is a spunky character who learns that the man accused of stealing these items from the wealthy friend of Bud's, lived on a farm with his sister. The sister is elderly and suffers from a form of dementia. Her daughter keeps her locked up in a mobile home. However, when Lilly goes to see her, she has to sneak in by a bathroom window. After the woman invited Lilly into the room, she forgot who Lilly was and began screaming. Lilly had to beat a hasty retreat. There are some excellent characters in the story, led by Lilly. There's no stopping her and her actions and the situation she's in, make us want her to succeed. The action takes place in Bakersfield, California and on a few farms in the suburbs - all in two days, Christmas Eve and Christmas day. I also enjoyed the dialog and the various parts of the story that the author brings together in a tight and satisfactory conclusion. 2. use the above link and read the amazon review. At the end of the review, please indicate that the review was helpful. 3. leave email address and indicate that steps 1 and 2 were complete. 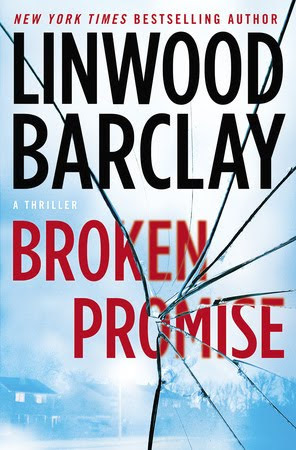 We can always count on certain things when reading Linwood Barclay's novels, interesting characters, nail biting suspense and a great story. 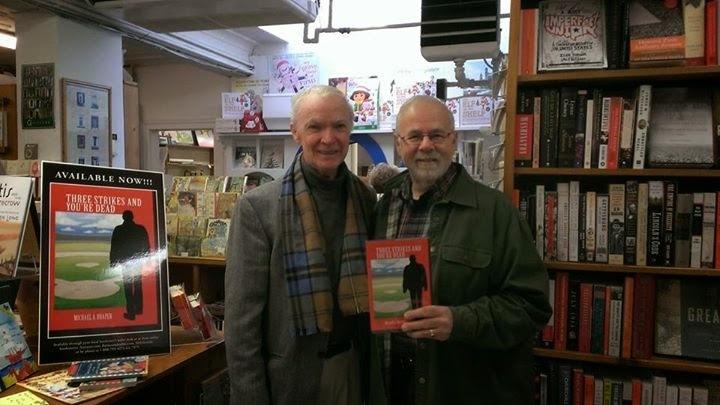 In "Trust Your Eyes," Ray Kilbride, a man you might meet anyplace, comes home for his father's funeral. Then he must decide what to do with his schizophrenic brother, Tom who spends most of his time glued to the computer. Tom has a computer program called Whirl 360, where the website allows him to look at actual streets and what is going on, all over the world. He sees something that looks like a major crime happening. He won't be satisfied until he can be sure what happened and asks Ray to check it out. In this manner, the two brothers stumble on to a major conspiracy. Elsewhere, Morris Sawchuck is running for governor. Someone contacts his wife, Bridget, and demands a meeting. Tom narrates his portion of the story. His disbelief of the situation turns to extreme anxiety in a manner where the reader is drawn into the action. Reading his actions in the first case, with the use of "I" a number of times, we feels as if we were the person speaking and it is our own adventure. Barclay is a talented story writer and his prose has a cinematic quality as we observe not only the action but the scene itself, whether it is in an antique shop with walls lined up with Royal Doulton figurines or old fashioned cameras, or a frantic man in the backseat of a New York cab, telling the bored driver that he must go faster to save someone's life. Everything comes together nicely in a satisfactory conclusion. I enjoyed this novel very much and have only one suggestion. Don't miss it. "Empire of the Sun," is a semi-autobiographical novel of when J.G. Ballard was at the Lunghua Interment Camp, as a boy, during WWII. The story opens when the protagonist, Jim, age eleven, is with his parents at an early Christmas event in Shanghai. It is held at the residence of the President of the British Resident's Association. Chinese refugees and beggars are everywhere in Shanghai and the other residents become immune to their plight. As Jim's family leaves their home to attend the Christmas festivities, their driver runs over the foot of an elderly beggar. The driver doesn't stop the car and it is as if the beggar was not a real person but an object of war. That night, the Japanese attack both a U.S. and and English ship at the Shanghai harbor and war officially begins. Jim becomes separated from his parents and observes life in a war zone with complete detachment. It is as if he has become separated from the events before him. He passes dead bodies left in the road and spends time at the vacated home of his parents and their friends enjoying his adventure until the food is used up. He becomes somewhat concerned for himself and eventually surrenders to the Japanese, ending up at the Lunghua Interment Camp. The story is written in an analytic style, the story does seem to be more of a memoir. 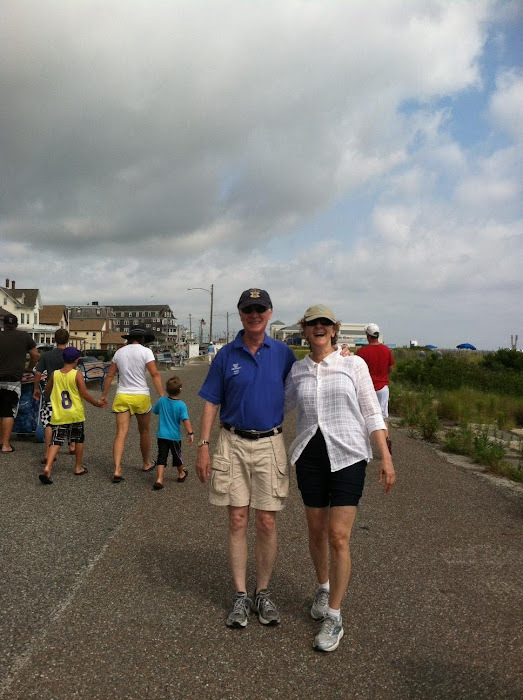 I did enjoy Jim's fascination with flying and his desire by the end of the war, to become a kamikaze pilot in Okinawa but felt his uncaring attitude toward his parents safety to be unlikely. It did show a part of life with civilians during WWII that was interesting and I enjoyed that. Do we have any idea of what can happen to a body of a loved one once it arrives at a crematorium? In this multi layered story, the action is centered around Atlanta and in a little town named Big Knob, near the North Carolina line. Keye Street is a Chinese American P.I. who has her PhD and is a recovering alcoholic. Her boyfriend, Det. Aaron Rauser is a homicide detective in Atlanta and as the story begins, he tells Keye of finding the body of a young boy who was murdered. A side story is about an attorney in Atlanta hiring Keye about looking into a case where a person had their mother cremated but when the urn dropped by accident, there was something other than human ashes in the urn. Keye and her assistant, Neil travel to a rural community that feels as though it was left back in time to a deep south area. When they speak to the person about his mother's ashes, the person explains that after dropping the ashes and seeing what looked like something else, he had the ashes and it turned out to be chicken feed. The man wants to know what happened to his mother and complains that she didn't even like chickens. Meanwhile, Keye's cousin, Miki, has been threatened back in Atlanta and another person is killed with evidence that points to the same killer as the young boy. This time it is a senior citizen and his body is found in Miki's basement. 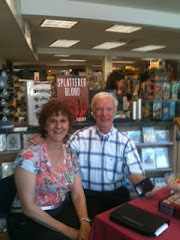 The author writes with a keen wit that enhances the story and we feel as though we are reading a literary work. As we read of murders and missing bodies, it is the addition of the author's humor that makes the book different and a better read. As when she wants to ask another man about the person he just had cremated. His response..."My mother in law was as mean as a water moccasin." There is excellent suspense in the story as the killer continues killing and with each kill, seems one step closer and closer to Miki. I was also impressed with the manner in which Keye and her boyfriend related to each other. Unlike many female P.I.s with male law enforcement boyfriends, here, Aaron treats Keye in an equal manner in searching the crime scene or attempting to arrive at a motive for seemingly inconceivable crimes. 5. Giveaway ends Aug 25th. "And then along came Jones...Slow walkin Jones..."
In 1998 Carol Wentz attends a neighborhood party. Six-year-old Iris Neff sees her in the kitchen and asks for a juice box. When she receives the juice, Iris complains that she doesn't like this flavor and demands a different kind. Carol is abrupt with her and informs her that she's not her mother. Later that day, Iris disappears and Carol convinces herself that her attitude had something to do with it. When Carol disappears in 2009, missing person investigator Brenna Spector enters the search. Brenna has the unique ability to remember everything that has ever happened to her. Carol had joined a chat group for people who wanted to find missing persons who were usually members of their families. Thinking that she would get more information as a family member, Carol posed as Iris's mother in the chat. 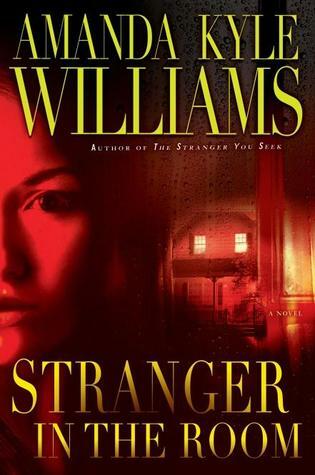 Brenna works with Carol's husband who seems baffled at his wife's disappearance. He didn't even know that she knew how to use a computer but waited until he was asleep to sneak down to his office and use his. Intelligently written and with good literary style we observe Brenna's investigation and are amused when she can remember even the smallest details about the various days in question. 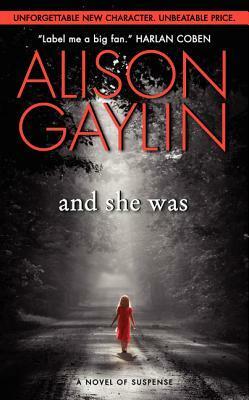 The story is darkly realistic as we wonder how many things can go wrong in a police investigation. In the end, Brenna shows what she's made of and I found the story to be most original and Brenna a unique protagonist that helped lead the reader to a satisfying conclusion. Instead of one hero pursuing the villains, we have SEAL Team 6m, aptly led by Navy SEAL, Tom Crocker. Ever since a group of Navy SEALs killed Osama bin Laden, there has been interest in the activities of this elite group. The leader of the group, Tom Crocker, has spent his life sticking up for those who were being picked on or bullied. He's led his team on difficult missions to Iraq, Iran, and places like El Salvatore and now he seems to have an enemy working against the United States with equal success in his operations as Tom has had in running down terrorists. The story starts with a strong hook. After one of the associates of Abu Rasul Zaman, one of the top al-Qaeda agents, is eliminated, Crocker learns that a major operation is under way against the West and those friendly to the United States. At the same time, there are a number of young people being kidnapped from European countries and sold to Arabs. Crocker is asked to find one of them whose family is friends with the King of Norway. There isn't a lot of dept to the characters but nonstop action and excitement are throughout this book which is an enjoyable and fast read. 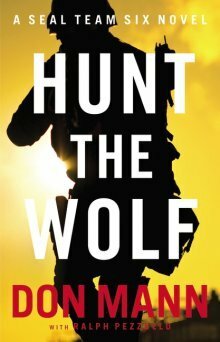 If you're looking for sheer pleasure in your reading, "Hunt the Wolf," will entertain. 2. use above link to read Amazon review and at the end of the review indicate 'YES' helpful. 3. leave email address for contact and indicate steps 1 and 2 are complete. 5. Giveaway through Aug 14th. I've been a fan of Western literature for most of my life. Reading "Mexican Hat" is just fun. 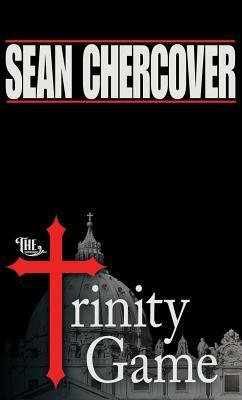 I first read this novel when it was first published and felt it was time to renew a pleasurable reading experience. Michael McGarrity has a sense of the Southwest and his description of his character, Kevin Kerney, is clear and delightful. His actions remind me of the true cowboy and in the role Clint Eastwood played in Unforgiven. Kevin Kerney is a childhood rodeo star who went on to be a well respected detective until he was given a medical retirement due to an on the job injury in Santa Fe.. He's working as a seasonal forest ranger in the Gila Wilderness and attempting to earn money to restore an abandoned homeland and set up a cattle operation. The story begins with him getting a call about possible poaching of a bear. The rancher who reports the crime believes it is by someone looking for trophy kills. There are vivid depictions of the rough terrain of the Gila Wilderness of New Mexico. We observe the gritty people who keep to themselves and are generally mistrustful of strangers. The people seem solid but there are secrets underneath their stoicism. The author describes the events about two families. Where the Cox family has something they have kept hidden for sixty years and the Padilla family are looking into the injustice that happened to their family in that same time. I enjoyed the images of the southwest and the rugged cowboy turned police detective. Kerney is the wounded warrior who is still proud of the work he does and tries to bring justice to a wild west. Give yourself a treat and try this dandy story.